The way some of the public health centres are designed do not show much respect for one’s privacy. Often, visitors seeking assistance or direction from reception have to report their ailments within listening distance of people in a waiting area or queuing up to make enquiries. Surely, this can be rectified. 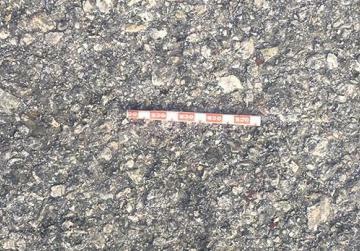 It is very worrying when used syringes are spotted in public areas, to the extent that one must watch where to walk. The picture above was taken in Cospicua recently. Of course, such practice says a lot about the users – or abusers – themselves but fingers must be pointed at the authorities too, whether central or local. 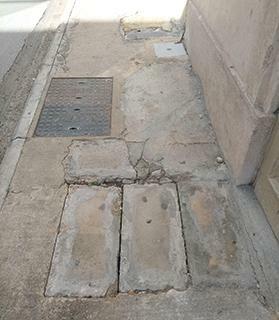 Pavements in Valletta are in a pitiful state. Shame, because our capital city is visited daily by so many locals and tourists. The stretch in St Paul’s Street can only be described as hazardous. But how can the local council allow it and what about the authorities? Or there is no more interest now that Valletta is no longer the European Capital of Culture? Valletta certainly deserves much better respect. 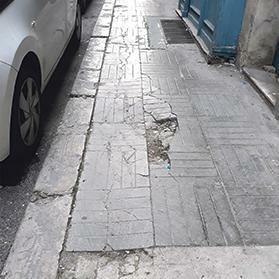 To remain on the subject of pavements, a repair/ upgrade programme for all sidewalks across the islands has become a must. Take Cathedral Street, Sliema, where the pavement is an accident waiting to happen. Pedestrians prefer stepping onto the road and face oncoming traffic because they deem using the sidewalk to be more dangerous. Focusing on building road but ignoring pavements does not make much sense. The state of Mrieħel seems to be going from bad to worse. Despite efforts to regenerate the area by the government late last year, it seems not much is being done to keep it in good shape. 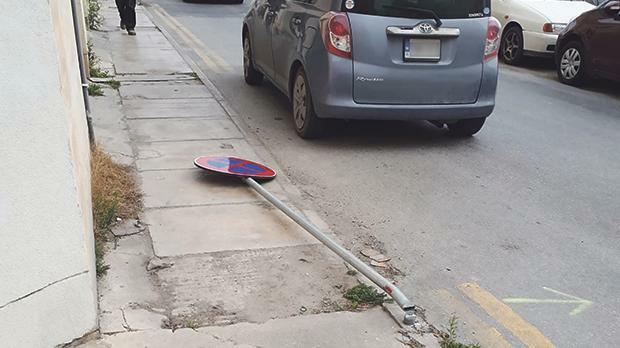 Last week, a sign could be seen toppled over onto the pavement, posing a danger to both pedestrians and motorists and remained so for days on end.